I have a feeling September is going to be just super. 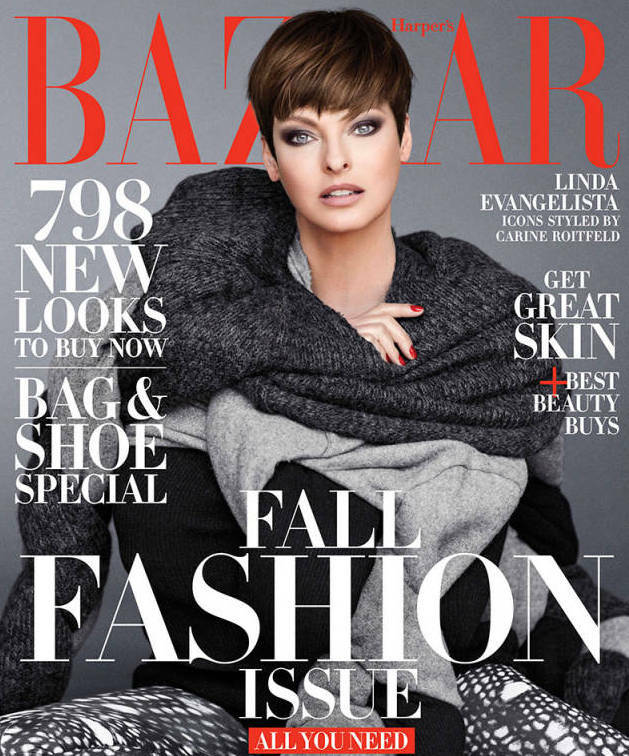 Linda Evangelista – as classic as red, black and white, photographed by Sebastian Faena. Linda is back with a new look. And so am I. You like? Global fashion director for HB, Carine Roitfeld, directed three final covers for the mag, with fishnets being the theme that carried through all of them. No issues with this September issue. I’ll have more Linda and more Carine directed images in the coming days. I mean it this time – I’m back to regular posts. This isn’t the first time we’ve had a Super September, by the way…and it won’t be the last. Read past posts about La Linda and the other Supes. Plus, the holy trifecta of colour gets me every time. Images: Harper's Bazaar. All photos by Sebastian Faena.